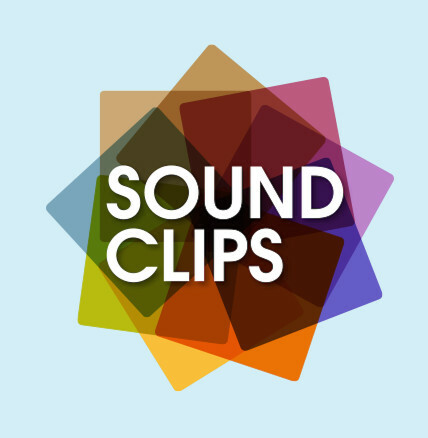 Our latest application, Sound Clips has just launched in the iOS App Store. 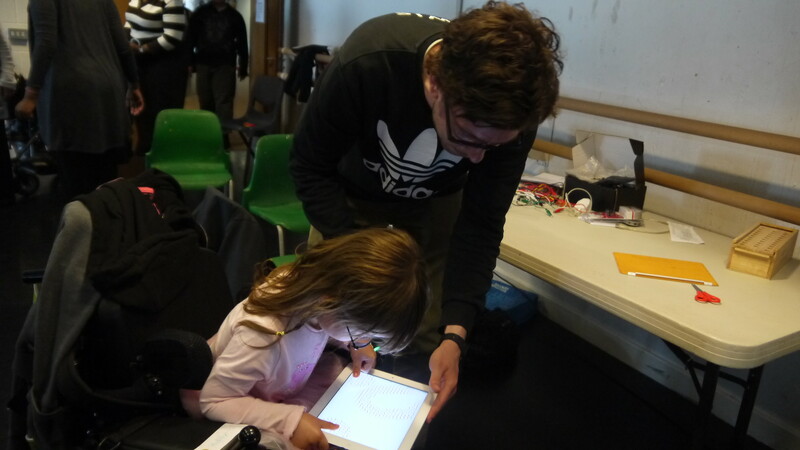 Designed in collaboration with Hellicar&Lewis and the Discover Story Centre, the app allows for the sequencing of sound effects using the iPad itself as well as triggering via Estimote Stickers. Last Tuesday we completed the last of three workshops with young people from the Noah’s Ark children’s hospice as well as their siblings and parents. Once again we were hosted by the amazing team at artsdepot. As before, we co-designed interactive “happiness machines” all day – as well as demonstrating the freshly updated Somantics iOS app to Mums and Dads and younger visitors. 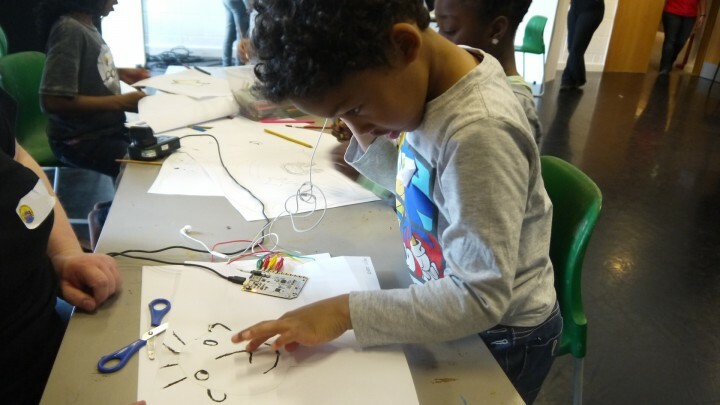 As well as helping connect the always fantastic Touch Board from Bare Conductive to paintings, Joel helped out recording sounds and music for each of the freshly created artworks. We are very excited to be able to work with Microsoft on porting our Somability project to the latest KinectV2 for Windows – more on that effort next week. James and I had a great time at the recent #KinectHackLondon event, where we saw some great projects created using a variety of software platforms. Many people, either through disability or ageing, have limited opportunities to enjoy meaningful activities that promote full body movement and physical exercise. Immobility not only impacts on physical well being, but also personal independence and self-expression. The Touch Trust is a charity providing specialist creative movement programs for people with profound and multiple needs, inspiring people to connect with each other though the body. 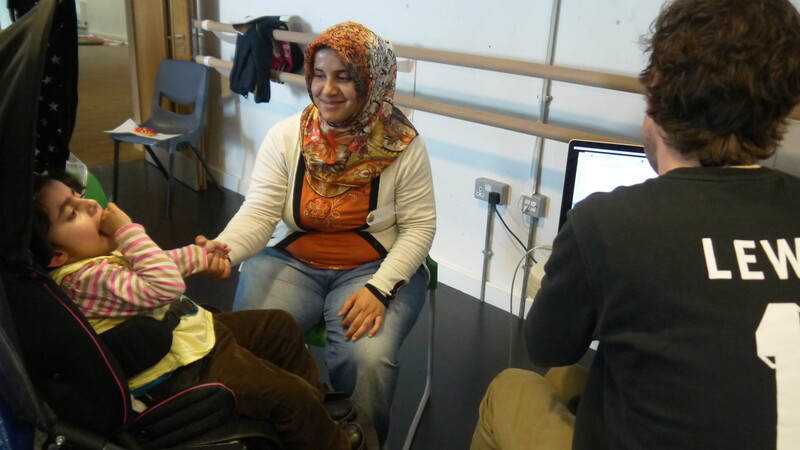 In recent years Cariad Interactive worked with Cardiff Metropolitan University and the Touch Trust to explore how motion-sensing technologies could promote user-led enjoyment of movement. Whilst we have adopted a mindful approach to designing, setting judgements and ambitions aside, working in partnership with therapists and end users has been a creative challenge for everyone involved. The Touch Trust programme is responsive to individual needs, alert to the emergence of self confidence, taking even the most tentative movement as a possibility for action. Technology on the other hand, can seem disembodied, homogeneous, and lacking in responsiveness. The workshop at Well Being 2013 invited delegates to review video footage in order to appreciate the need for appropriate inclusive design activities, and to think about how to incorporate influences from therapists and end users, in design for wellbeing. In trying out simple movement such as stretching, twisting, and combinations of these, the workshop enabled people to create flowing artworks that amplify bodily engagement. 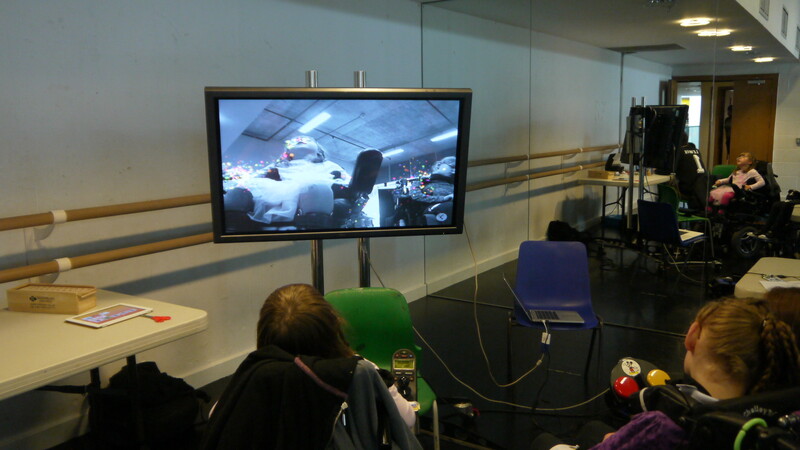 In this process of using technology to draw attention to actions our perception of disability was confronted.